Behind The Thrills | Review-Midnight Syndicate’s Monsters of Legend brings the classics back to life….ALIVE!! IT’S ALIVE! 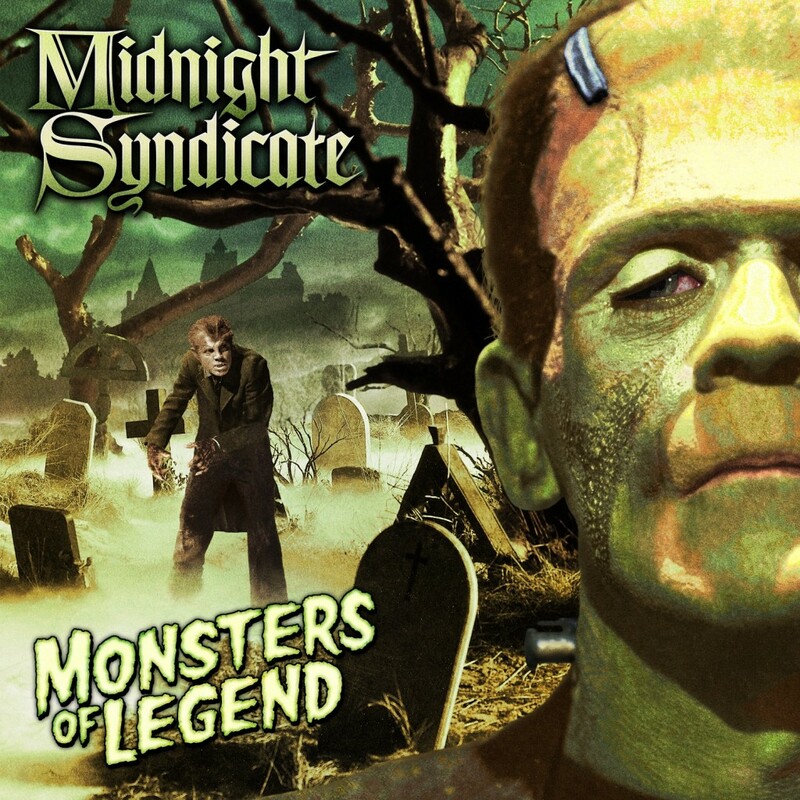 Review-Midnight Syndicate’s Monsters of Legend brings the classics back to life….ALIVE!! IT’S ALIVE! Review-Midnight Syndicate’s Monsters of Legend brings the classics back to life….ALIVE!! IT’S ALIVE! It doesn’t really seem like it’s been two years since the Carnival came to town, but it has. Maybe that’s a testament to the way the last studio release from horror music masters, Midnight Syndicate, captured imaginations, and assured us that all the fears we had about the carnival were true. The duo’s all new CD “Monsters of Legend” is an obvious love note to the classic horror films from Universal Studios, Hammer Films and many other crazy European horror movies of the 60’s and 70’s that takes you to many different films, but still manages to remain distinctly Midnight Syndicate. Midnight Syndicate is made up of Edward Douglas, and Gavin Gozka. Their music has been featured at haunted attractions all over the world, including at Halloween Horror Nights in Orlando. They have been featured in films, video games, and even Football broadcasts. What they do best, what they almost created themselves are the soundtracks to the movies in your head. They’ve taken listeners into the world of Dungeons and Dragons, to a place where Vampires roam, and even a mansion that exists outside of time. Their last CD “Carnival Arcane” took listeners to an actual place, a creepy turn of the century carnival where the bad feelings you got were justified. Monsters of Legend takes you to the Golden Age of Monsters. So how does Monsters of Legend measure up to their last effort? It’s a completely different…monster. Like Carnival Arcane, there’s a definite story to tell with Monsters of Legend. It takes place in the mysterious little hamlet of Arcacia. If the name Arcacia sounds familiar to fans, that’s because they’ve been here before. If you have no clue about Arcacia, it’s where several of the older Midnight Syndicate albums take place. Using the band’s signature sound effects, it sets up a story from the first track. Ed and Gavin also use some of the older, lesser known tracks from their previous CD’s to help tell the story of a place where legendary monsters roam the country side. Many of the songs are very much derivative of the old scores you would hear in the black and white monster films from Universal. You definitely feel the fingers of Bella Lugosi slipping around your neck on “Lord of the Realm”. On “Into the valley of Shadows” you can hear the panic as a poor creature of some kind is being chased into the place he really doesn’t want to be. The piano of the piece gives it a whole sense of desperation as the woods become bog and eventually the gravel of some sleepy town. The legends are there, but in an all new light. You can almost hear Bernard Herrmann humming along in approval. This is a return to roots of sorts for Midnight Syndicate. You can hear the classics echoed in all of their previous works, and you hear it again here. The sweeping orchestral sounds, the huge organs, even the hollow sound of the harpsichord. Monsters of Legend works as a great soundtrack to any horror film, and it works as “classic” Midnight Syndicate. The only complaint I have…where’s my creature? Guess maybe it’s still locked away in chains, waiting for the chance to wrap it’s webbed hands around your neck. Maybe next time. The CD is available now on the official Midnight Syndicate Website, that you can find by clicking here! You can buy Monsters of Legend by Midnight Syndicate here! Midnight Syndicate returns to Cedar Point for Halloweekends!